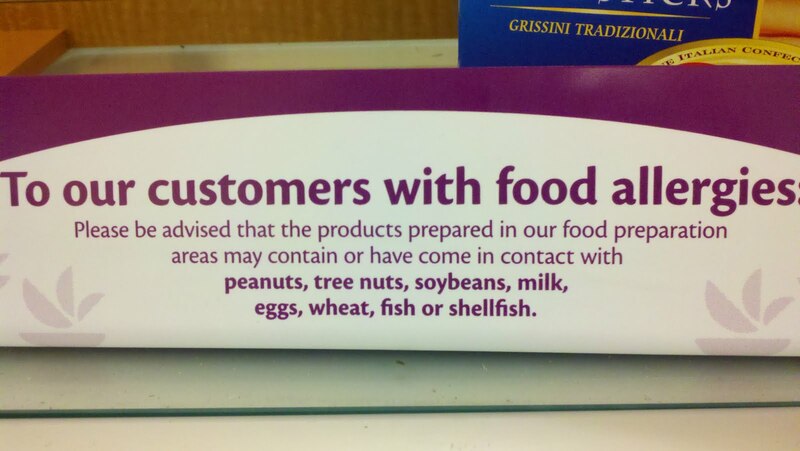 A reminder to never, ever, buy from the open bins or self-serve containers, if you have food allergies. Sometimes a short cut is in order. That’s when I turn to simple solutions like this Quick Quesadilla recipe. I used Sandwich Petals to form the Quesadilla. I heated the flatbread for about 20 seconds on each side in a medium skillet, then added one tablespoon of olive oil. I added the filling (I used cheese, but any filling or non-dairy cheese will work). Once heated, I cut it into wedges and served it with guacamole. Can you ever get enough guacamole? Spoiler alert: don’t read on if you watch these shows and haven’t seen these episodes. The Firm – This NBC drama is based on John Grisham’s novel. At one point, Mitch McDeere (whose family is on the run and under FBI protection) and his brother, decide to go rogue and take down the leader of an illegal insurance operation to murder patients who may cost Noble Insurance too much money. (Yes, it’s a mouthful of a plot.) The bad guy, Stack, has a severe peanut allergy. We know this because McDeere found it in his military file. Stack is ex-special forces. McDeere and his family cook up a scheme to “disable” Stack, by forcing him to have an anaphylactic reaction, giving them just enough time to steal the special codes needed to break into the secure room where the information they need is located. 1. The allergic reaction is caused when Stack picks up a phone that has peanut oil on it. While we don’t know for sure that the peanut oil they used was highly refined, it’s unlikely that peanut oil could have caused the reaction we saw (highly refined oils are fat and do not contain the proteins that cause allergic reactions.) That said, the allergic reaction was believable – Stack swelled up, rashes appeared, he quickly passed out. 2. Stack was military. The military does not accept candidates with anaphylactic reactions to food. Apparently the writers either missed that point, or decided to ignore it for the benefit of the plot. 3. The McDeere’s knew that they had only 15 fifteen minutes to administer epinephrine before Stack would die. Except, in real life, it could take as little as 6 minutes. I guess 6 minutes wasn’t enough time for them to break into the secret room and grab the hard drive. On the positive side, they did use the Epi-pen (which Stack carries with him but they had stolen) properly. When would it ever be right for someone to intentionally cause an anaphylactic reaction? Keep in mind that it was the good guys who did this, and Stack could have died. With this kind of behavior on TV, it’s no wonder we see kids on the playground threatening food-allergic children with peanuts. Smash – An NBC drama about the making of a Broadway musical, with a cutthroat environment – especially among the stars vying for the lead. The actress brought in to play Marilyn, Rebecca Duval (played by Uma Thurman) has a peanut allergy. She makes it clear that she has an allergy, and is very diligent about it. The day after the first show (where no one clapped at the end), Rebecca drinks her morning smoothie that has been spiked with peanut, and she collapses. 1. This allergic reaction is somewhat less believable. Rebecca appears to be having difficulty breathing, but she keeps drinking while this happens and we see little else. 2. After the incident, the director tells the cast that Rebecca has been “sedated” and would be out of the hospital in a few days. There is no mention of her being given adrenaline/epinephrine. Even if I give the writers the benefit of the doubt and assume that the character must have been given epinephrine, I’m not aware of sedation as a course of treatment after epinephrine. Rebecca believes that someone must have intentionally spiked her drink. The episode ends with everyone wondering who might have done it? Karen, the under-study? Ivy, the cast member who originally played Marilyn? Worse yet, nobody cares. Rebecca herself doesn’t even want to know. Again, I ask – is it ever okay to intentionally cause an allergic reaction? We see horrific crimes being committed in TV dramas every day. Drama is drama, after all, and attempted murder is attempted murder, whether it’s by a gunshot, or an intentional poisoning. But these stories of intentional peanut allergy poisoning aren’t being treated like the horrific crimes they are. 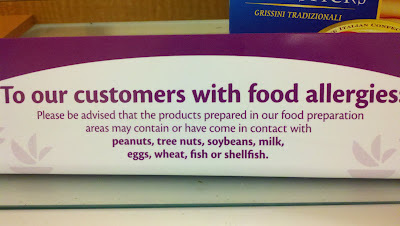 There’s almost an implication that it’s okay to poison someone with a food allergen if you have an Epi-pen nearby. Don’t we have enough accidental allergic reactions? The market for foods that address the needs of those with food allergies and intolerances is expected to grow to $26.5 billion (yes, billion) dollars over the next 5 years according to Global Industry Analysts. 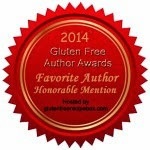 The US represents the world's largest market for gluten-free products. It can take as little as 6 minutes for the entire body to shut down during anaphylaxis. Only a tiny amount of protein is required to cause anaphylaxis. If one parent has any type of allergy (allergic rhinitis, asthma, food allergy, etc. ), his or her child has a 65% chance of having some type of allergy. If both parents have an allergy, their offspring have an 85% chance of having some type of allergy, and will likely have more severe allergies. Households with incomes less than $50K are half as likely to have a food allergy and half as likely to be diagnosed with food allergy. Asian and Black children have higher odds of having a food allergy, yet are 24% less likely to be diagnosed. Food allergies are more prevalent (as a percent of the population) in highly populated areas (urban centers and metro cities) than in more sparsely populated areas (small towns and rural areas). May 13th-19th is Food Allergy Awareness Week. Each day this week I will share some food allergy facts. Please pass them on and share them with your audiences so that we can get the message out about food allergies. Much of what I will be sharing I learned at a recent press editorial roundtable, hosted by the Food Allergy Initiative. A 2007 CDC study estimated that over 12 million Americans including 1 in 25 children, had a food allergy. The most recent research (based on a study funded by FAI and published by Northwestern University in 2011) shows that up to 15 million Americans have food allergies including 1 in every 13 children (or 8% of children). The average classroom of 25-30 students now has two children with food allergies. When I was growing up, my grandmother made the birthday cakes. Sometimes she would start planning the cake a month in advance, throwing out suggestions. Cherry Vanilla with Pink Frosting? Red Velvet? No, for me it was always Chocolate with Vanilla Frosting. As a Mom, I’ve always made birthday cakes for my kids. Even when I ordered a fancy store bought cake (like the Teenage Mutant Ninja Turtle cake I surprised my oldest son with one year), I made another one at home – just for the family. 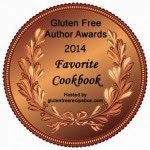 When food allergies hit us, cake from the bakery was no longer an option, so I created my own recipes. I no longer expect anyone to make a cake for me. To be honest, I prefer to make my own because I know exactly what I want – chocolate with vanilla frosting. The recipe for this Triple Play Chocolate Cake can be found in Learning to Bake Allergen-Free. I plan to serve it with a cranberry sauce. The sauce is one that I was inspired to create after taking a class on sauces at the Culinary Institute of America. Combine the ingredients in a small saucepan and simmer over medium heat, about 10 minutes, until the sugar has dissolved. Stir occasionally to break the cranberries open. Strain the sauce through a mesh strainer, pressing the juice through the strainer. Discard the pulp. Serve warm or cold underneath (or on top of) the cake. I don’t like to use food coloring (too many additives and dyes) in my baking, which means that my frostings are almost always white. But, I decided to try to add some color by adding a couple drops of my cranberry sauce to the frosting. It gave the frosting a delightful pink color (and a bit of a cranberry taste) that I could make the rosettes out of. I can’t wait to eat the cake later! What's your favorite birthday cake? I was really thrilled to receive a copy of Dr. Atul Shah’s new book, Allergies, and Awesome You: Believe You Can Get There Too! to review. Dr. Shah is not just any allergist, he is The Amazing Allergist, and treats patients every day at his center on Long Island. But Dr. Shah isn’t just worried about what happens in his office, he cares about what his patients need after they leave his office – just one of the reasons he created the Amazing Allergist series of children’s books. Allergies and Awesome You is a read-aloud book, but could also be read by young readers with their parents or alone. In the book, two young athletes with allergic rhinitis (nasal allergies) are playing soccer – one is struggling, and the other is playing at peak performance. You can probably guess that one has been getting allergy shots (and getting better) and the other has not. The book is a great introductory book for a child who is about to start getting treatment for environmental allergies, but it’s much more than that. Dr. Shah truly believes in the mind-body connection. Unique to this book are exercises and activities which are intended to help kids think positively and learn new behaviors. 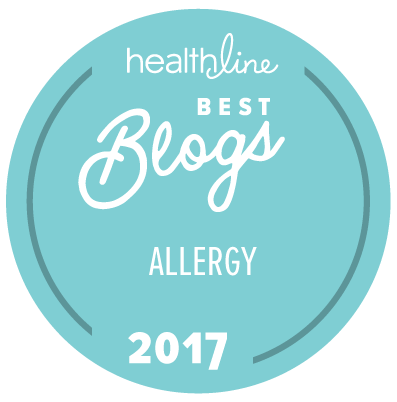 While not about food allergies, the positive messages here are useful for all, and I encourage you to check it out. Even better, Dr. Shah has some special gifts for readers who purchase the book during this launch. Find out more about the book, including the special gifts, here. And be sure to check out Dr. Shah’s facebook page here. A few weeks ago I had the pleasure of interviewing Brad Gruno about his raw chip business. Brad’s transformation to a raw foods entrepreneur is fascinating and you can read about it at forbes.com, but today I want to talk about the food. When Brad asked me if I wanted some sample to try I said yes, and I am so glad I did! I received two packages of crackers and one package of leafy kale. All of Brad’s Raw Foods products are indeed raw – they are dehydrated at low temperatures (rather than oven baked or fried) so that they retain all of their nutritional value. The crackers are somewhere between a traditional cracker and a chip. They are sturdy enough to dip, and can easily be garnished with whatever you would put on a traditional cracker. They are gluten-free, vegan, egg-free, soy-free, and dairy-free. They are made from all whole foods – vegetables, seeds, and buckwheat groats. The package lists “love” as one of the ingredients, and I can see why. These are very special crackers. The leafy kale is very much like the kale chips you would bake at home, but they are also dehydrated. Added flavors give them a taste like nothing I’ve ever had before. This product contains nuts – cashews are used to give the chips flavor. Unlike many gluten-free and allergen-free foods, these are high in fiber, low in sugar, and low in calories. While neither product is suitable for those with tree nut allergies, these make a great alternative to popcorn for a snack. Brad’s Raw Foods can be found in some Whole Foods, and are making their way into stores across the country. Have you had a chance to try them yet?